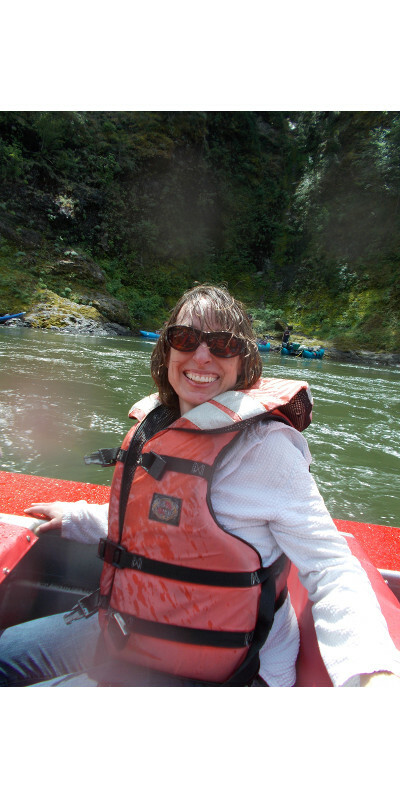 My lovely and generous sister won a $50 gift certificate for a jet boat ride up the Rogue River in Southern Oregon, and she gave it to me! I am a pretty big cheapskate and wouldn’t have gone with out the discount. Once we had gone, John couldn’t believe that attitude. It is so worth doing. But you must go the complete 104 mile wilderness trip. I suppose if you can’t be on a boat all day, you should take advantage of their shorter trips. 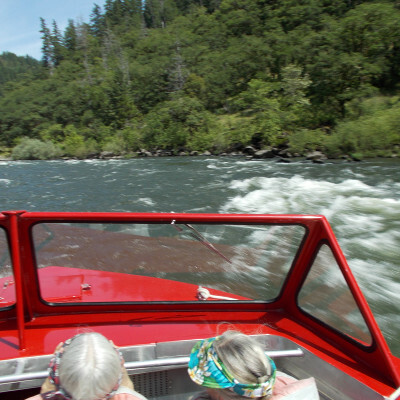 You will see Bald Eagles and Osprey. Probably deer, elk, turtles, and maybe even a bear. I saw all of these, except the bear. I guess some have even seen a cougar down by the water. 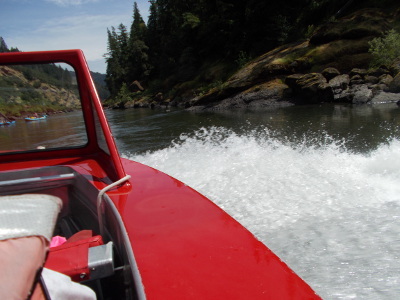 Even when there is no white water, the pilot will make some. And if it’s good weather, you won’t mind getting a little wet! I was thinking about this trip tonight, as I start to get the Sunday night blues. 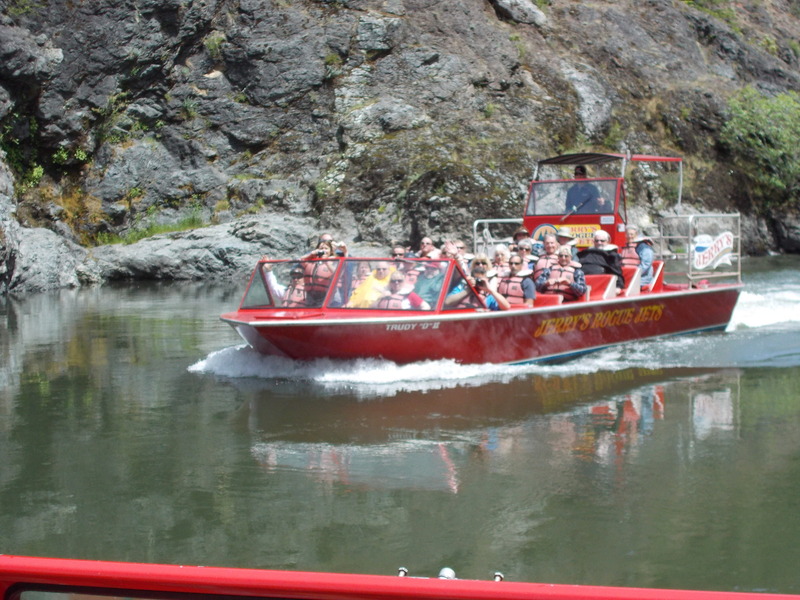 The ride up the river is so thrilling with new sights to see around every corner. The ride down is so fast, though. Just like seeing your weekend slip away, too soon it’s over.